Whether it's a custom countertop, glass flooring, a kitchen backsplash, or a custom shower stall, we are experts at a number of production techniques that enable us to transform your ideas into reality. Click any image below to learn more. Slumped glass, most commonly known as “cast glass” because it shares similarities with glass casting process, is in actuality a thermoformed fused glass. 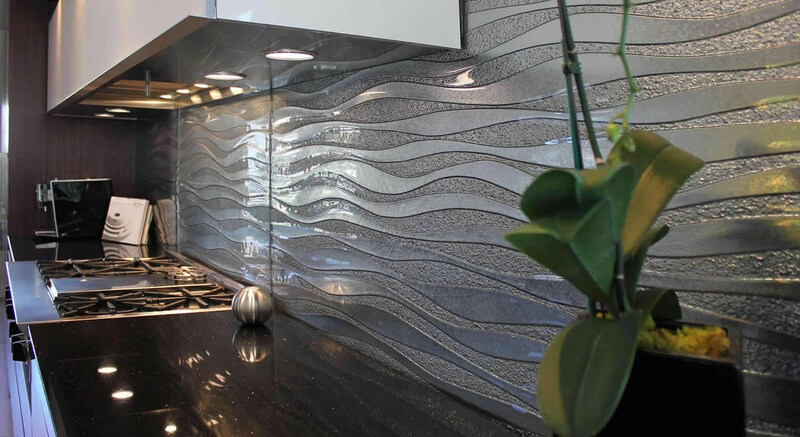 Textures, patterns and custom designs are kiln-formed through heating at 1,099–1,251 °F, and then "slumping" the glass panels onto or over a mold. 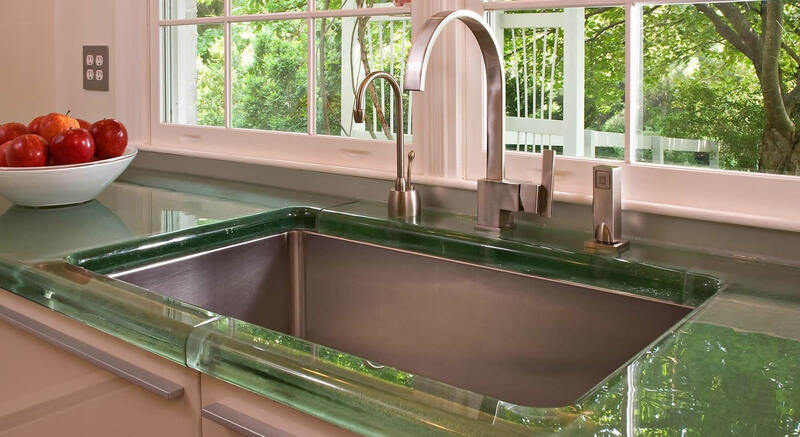 GDS Colorfuse™ glass is a proprietary product created by Greg Gomolka in the year 2002. 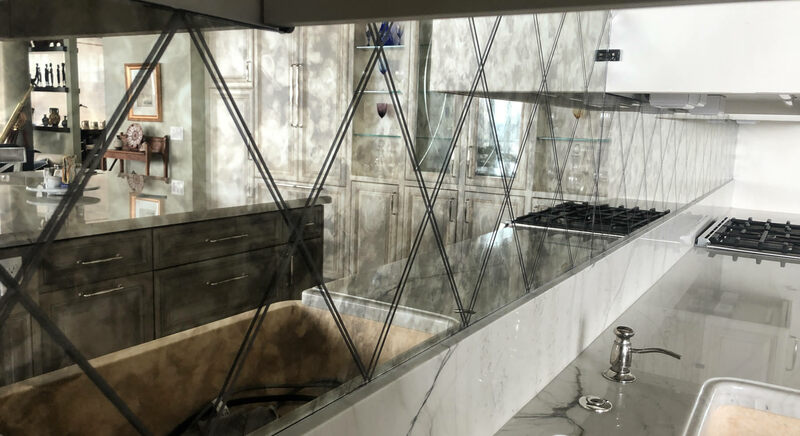 While many glass experts were suggesting that it could not be done, Greg's creative mind could not let go of his idea to create this exciting new process. With the help of an order from a large hotel chain with the vision to see what was possible, he was able to fine tune the Colorfuse™ process into what it is today. 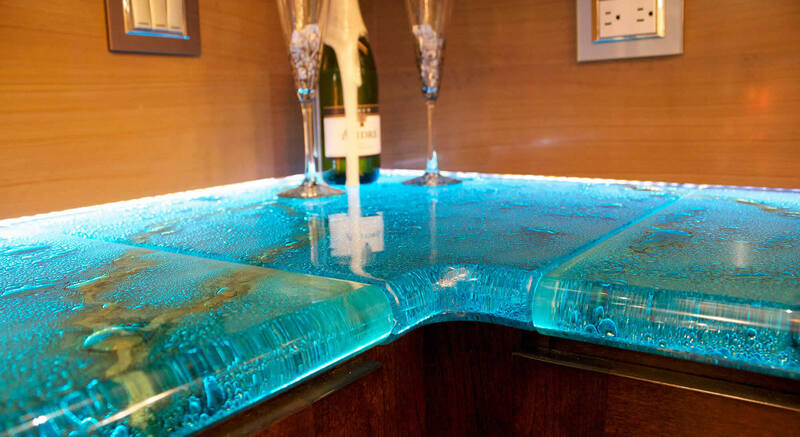 There are a number of abrasive techniques that can be performed to create art on the surface of an existing piece of glass, whether it be plain plate glass or our custom slumped or cast glass. 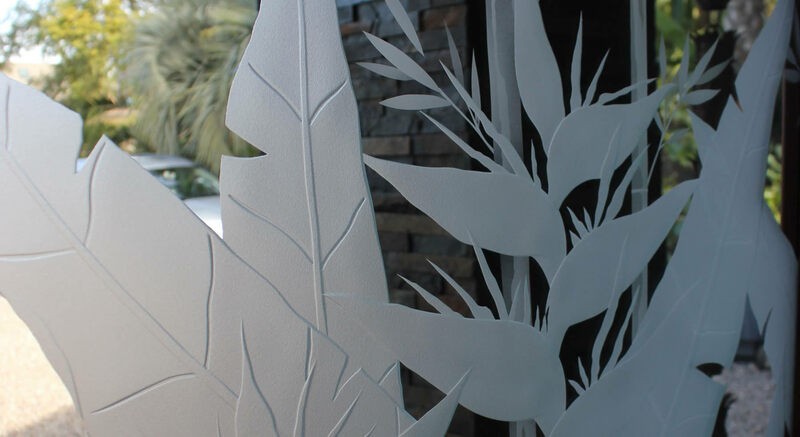 Sandblasted and etched glass can add beauty and privacy to any setting, using pre-cut masks that can produce intricately detailed figures and patterns, and glass carving can be done for deeper effects. 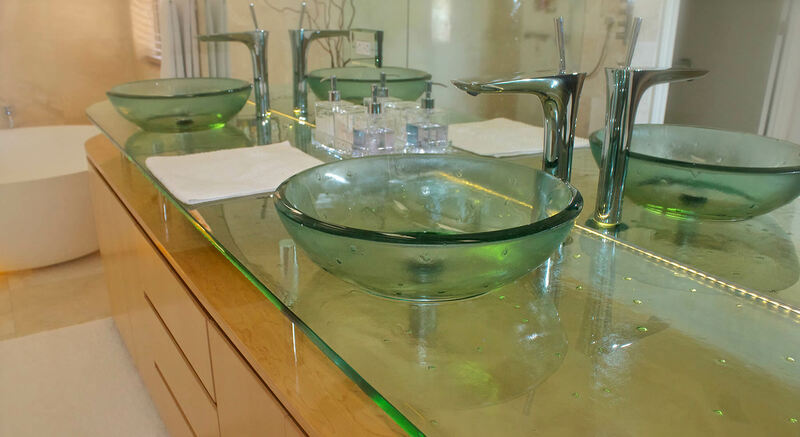 Thick glass (meaning any custom glass over 1" in thickness) is most often used horizontally for countertops, bars, islands, tables, and so on, but sometimes in upright positions such as backsplashes, decorative walls or wall dividers, signage, and artworks. It is available in multiple textures, in either Aqua Clear, Crystal Clear, or our Colorfuse™ glass. PermaCoat and MetalliCoat are durable color finishes for our standard glass or cast/slumped glass textures, for almost any color palette from subtle to vibrant. PermaCoat is available as an additional feature for many applications, and is offered on standard glass or any of the cast/slump glass textures.